I`ve decided to go with CodeIgniter as PHP Model-View-Controller framework. 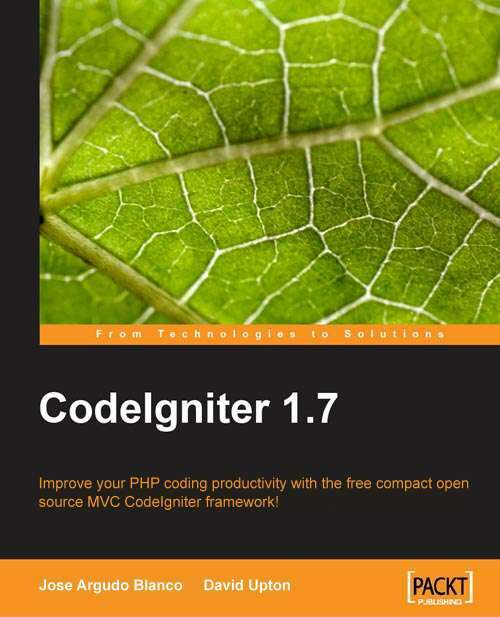 To learn the basics of this open source framework I`ve chosen for the CodeIgniter 1.7 book by Packt Publishing. The book describes how to start with CodeIgniter beginning with the installation. The first steps followed by connecting databases, creating HTML pages and forms, using sessions and add security etcetera. The final chapters include more advanced features like dynamic information and uploads. My review of this book will be online somewhere in january. A sample chapter, which describes the basics of MVC and CodeIngiter can be found here. More information about the book and and a link to buy it can be found here.